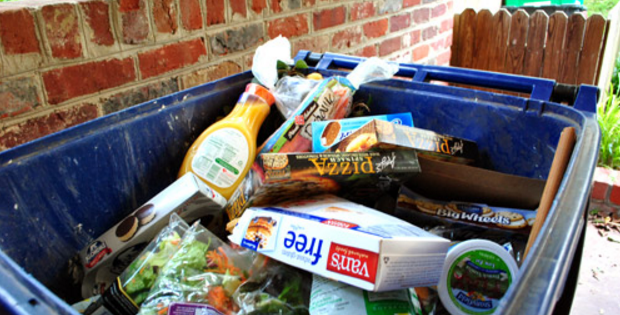 This article is about emptying your entire fridge into a large trash bag. It’s a good idea to do this many times a year if you are eating processed, frozen, genetically modified foods containing high fructose corn syrup, artificial ingredients, flavoring, preservatives, gluten, dairy, pasteurized and synthetic ingredients. or anything that is not plant-based raw and organic. Why? Well…if you sometimes feel depressed, moody, or you have low energy…you’re not alone. Millions of Americans feel this way every day…believe it or not, there is a direct relationship between your mood and what is in your refrigerator (according to Holistic Health educator, Lou Corona, and many other naturopathic doctors). Ever peak into the basket of that person in front of you at the grocery store? The foods people buy can tell you a lot about them. Lou Corona can take a look at someone’s fridge and know exactly why they are having the symptoms they have and what they can to do to heal. 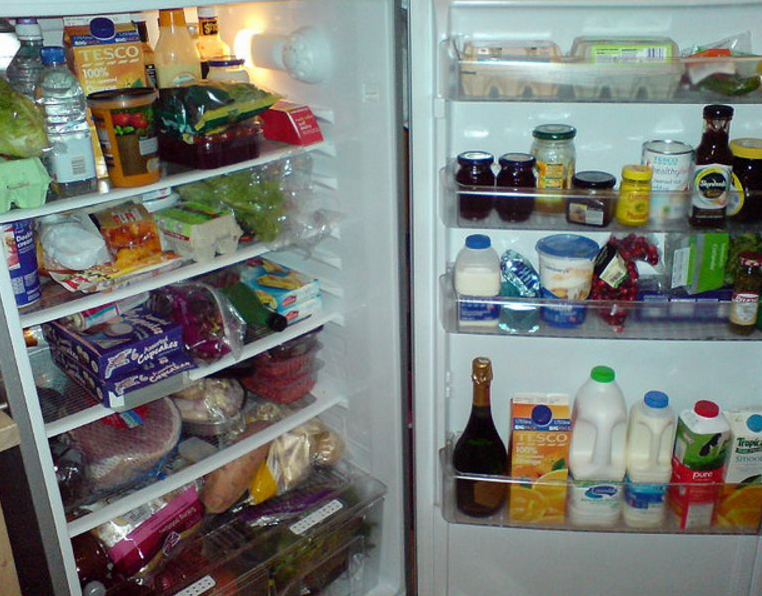 The average American refrigerator – contains products manufactured for the masses by machines in a factory and packaged in plastic, aluminum or tin. They contain traces of heavy metals, pesticides, and genetically modified oils. It is also filled with products containing genetically modified High fructose corn syrup, artificial ingredients, flavoring, preservatives, gluten, dairy, pasteurized and synthetic ingredients. As you probably already know, Lou Corona, commonly known as the “Healthiest Man” in the World travels all over the world assisting people on the path back to health and wellness. Lou rarely takes even one day off because there is always someone out there contacting him to make a house call and help heal them from cancer or diabetes or some other disease. Lou is the kind of guy who just can’t say no to someone who wants to live. The first thing he does is ask them if they really want to live. Because if they don’t, then he can’t help them. It all starts with truly wanting to be in this life. Then he asks them if they are willing to do whatever it takes to get well. When they agree, he pulls out the large trash bag and goes straight to their refrigerator and throws out anything that is not serving them. The funny thing is: this usually turns out to be just about every single item in there. Your refrigerator is also the place where you will likely find the major source of the cause of fatigue and depression. You don’t have to wait for Lou to come over and empty it for you. You can do this all on your own. 1. Get a large trash bag and get rid off all your processed food items, sodas, and items containing cornstarch, corn syrup, sugar and artificial flavoring. In other words, keep only organic vegetables, fruits, raw nuts and sprouts of all kinds, and yes, (sigh) meat if you have an attachment to animal flesh-protein. However, if you still need to eat meat then try to reduce it to organic white meat only. (it has been proven that red meat stays in your digestive system for weeks and has been linked to cancer and heart disease) It has also been known to affect your mood and cause you to be more easily angered and aggressive in your thinking. “Raw Liyf Protein” which is a Proprietary Blend of Pea Protein, Hemp Protein, Gojo Berry (Juice & Extract), Jerusalem Artichoke, FOS, Protease, Acidophilus Probiotic. You can put it in anything and/or make the most amazing smoothies. Once your refrigerator is emptied go to your local organic whole food store and stock up on raw organic fruits and vegetables. Lou has a plethora of recipes on his website that you can use to create the most delicious and healthy raw meals. 3. Get a high-quality blender – one that can handle the creation of soups, dips, smoothies, juices and so many more amazing delicacies. Once your body is no longer receiving the processed foods and junk, it will begin to purge the toxins and you will experience this “detoxing” for several days. Don’t worry this is totally normal. There are chemicals and foods that were never meant to be put in the human body and this is your body’s way of cleansing itself. Headaches, extreme hunger, and loose bowels will all be a part of the process. But there are many ways you can assist the process and help your body move the toxins out even faster. Lou has several programs that he teaches on his website that will guide you in cleansing and detoxing and many more additional tools to help your body and your state of mind. If you are really serious about being healthy and disease free, energetic, happy and have an abundance of energy, then you will want to learn about Lou’s Enzymes, Probiotics, superfoods, plant-based protein supplements, colon cleansing tools, superfoods and how to prepare living foods that are good for your body. You can always continue to watch videos on our blog to get more information and you will definitely want to watch Lou’s free webinar to get started. It is life changing.